Okay, watching this trailer, you obviously notice it turns an offhand joke into a tagline: “They Should Have Gone…To Vegas.” That’s…just a wee bit cheesy as hell. It did make me laugh, but judging from the rest of the video, that’s not the vibe they’re going for. 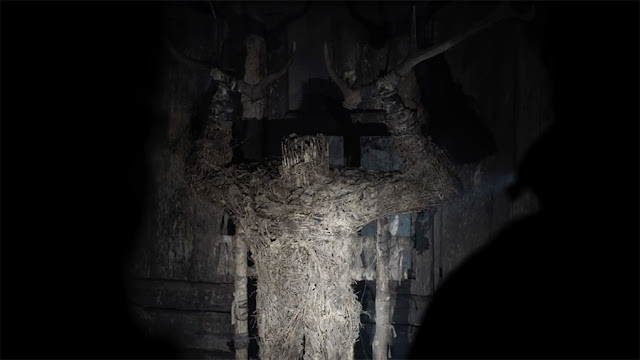 But aside from that, The Ritual actually looks pretty boss. A little Blair Witch-y (without the jittery handheld found footage conceit) and a touch Wicker Man-ish, all of which I can totally hang with. We’ve got psychological horror, friends lost in the woods, survivor’s guilt, actual monsters or at least legit external threats, and all kinds of fun horror pieces to play with. A simple set up involves a group of college friends reuniting for a hiking trip in a Swedish forest to honor a dead friend. 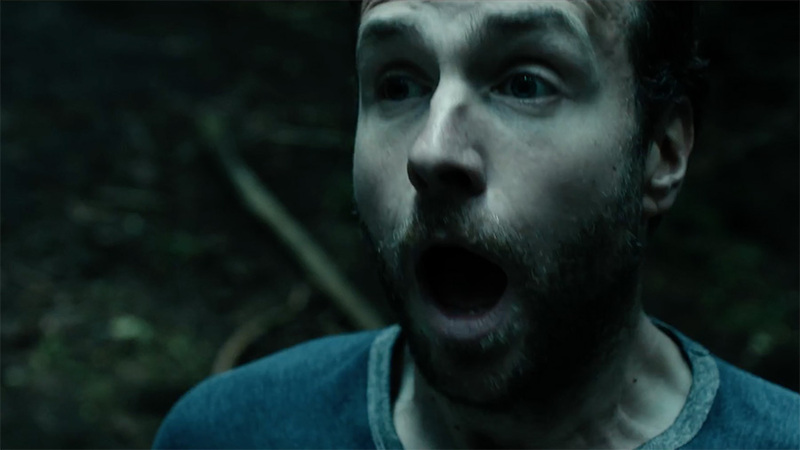 In the process, they break horror movie rule number one: never leave the trail and take a shortcut through the creepy woods. Come on, guys, it’s like you want to get skinned alive or whatever. After drinking the poor decision juice, they encounter some form of malevolent presence that wishes them ill. Again, not super original, but this trailer certainly shows eerie potential. 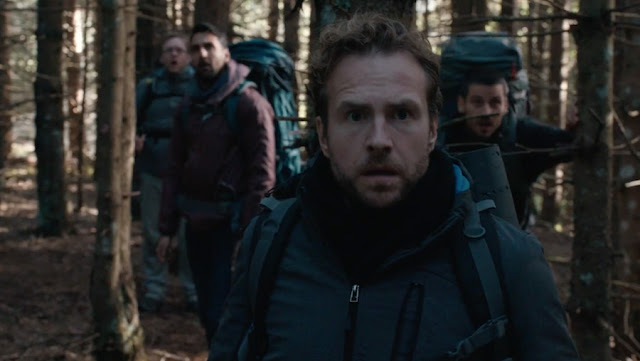 Based on a novel by Adam Nevill, The Ritual stars Rafe Spall (Prometheus), Robert James-Collier (Downton Abbey), Arsher Ali (Doctor Who), and Sam Troughton (Alien Vs. Predator). David Buckner has worked on horror anthologies like V/H/S, Southbound, and The Signal, but this marks his first solo feature directorial effort. The Ritual hits U.K. theaters on Friday, October 13, though there’s no word on when it may hit U.S. shores.